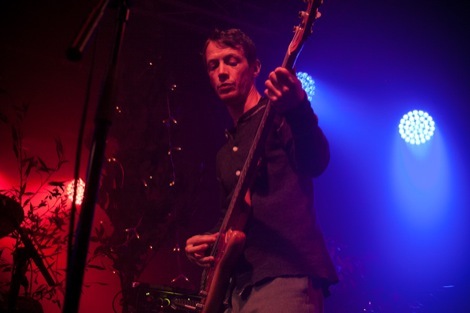 Luke Traynor previews the post-punk Brummie’s sold-out gig at Liverpool University. Editors are coming to Liverpool, with pens, notebooks, guitars and drumsticks in hand. Well, just guitars and drumsticks really. A novel name for a novel band, the Brummie crew have been winning over a music public desperate for something, anything to cling onto at a time when good indie bands are sadly a thing of the distant past. The foursome are stone-cold proof that good things can come out of the drab and unforgiving plains that surround Staffordshire University and their dark brooding sound won them early rave reviews back in 2005. The inevitable hack comparisons have likened them to Interpol and Bloc Party and even happy chappies like Joy Division and Liverpool’s own Echo and the Bunnymen. Recently, they released their second album, An End Has A Start (insightful) in June and played a well-received set at rain-soaked and mud-sodden Glastonbury Festival. Listen out for tracks like Smokers Outside The Hospital Doors, Bullets and Fingers In The Factories. Editors play Liverpool University on Tuesday, October 23, a gig which has already sold out. Damn popular this neo-post punk quartet…. 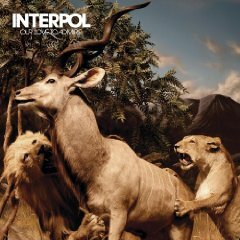 Interpol v Editors – the battle for the World’s Most Miserable Band title – read here.